This webcast, organized by the US Centers for Disease Control and Prevention (CDC), will include four speakers discussing global prevention of birth defects of the brain and spine known as neural tube defects or NTDs. Krista Crider, Geneticist with the CDC's National Center on Birth Defects and Developmental Disabilities, will provide an overview of what these birth defects are, the global burden, and approaches for increasing folic acid intake to prevent NTDs. Scott Montgomery, Director of the Food Fortification Initiative, will discuss the success and opportunities for fortifying industrially milled wheat flour, maize flour, and rice to prevent NTDs. Erin Smith, Country Director for Helen Keller International (HKI) in Tanzania, will present options for fortifying flour in small- and medium-size mills. Neena Raina, Coordinator for the Health Through Life Course for the World Health Organization Southeast Asia Regional Office (WHO-SEARO), will describe birth defect surveillance in Southeast Asia. In 2014, WHO-SEARO created an online system of newborn-birth defects (SEAR-NBBD) database. The system was designed to support data management for newborn health, birth defects and stillbirths. 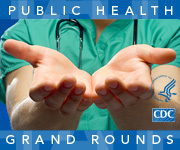 The webcast is open to the public via the CDC website. Open captions are provided. The link will be live five minutes before the presentation.